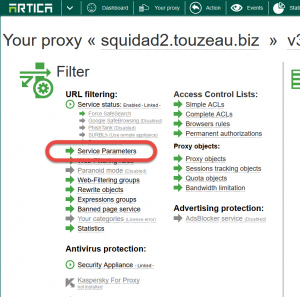 You cannot have access to Internet and when parsing Web filtering events, you have BLOCK-LD event. 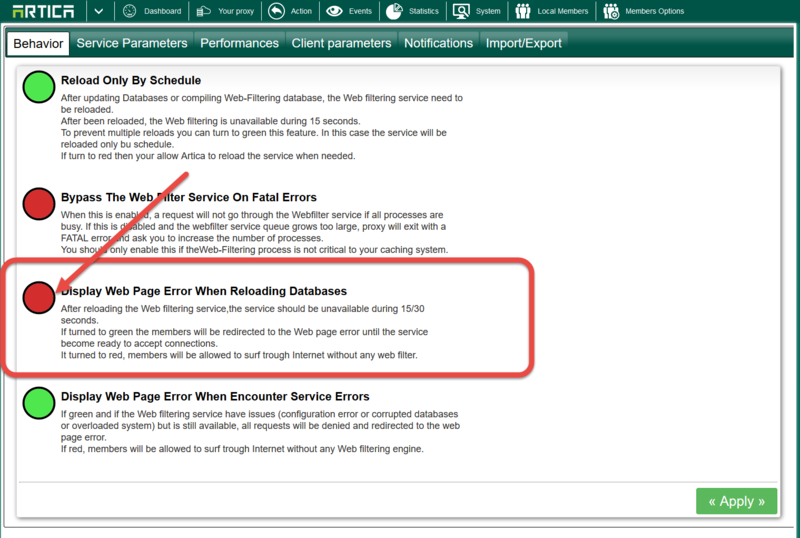 This means the Web filtering engine is currently loading all categories databases in memory. 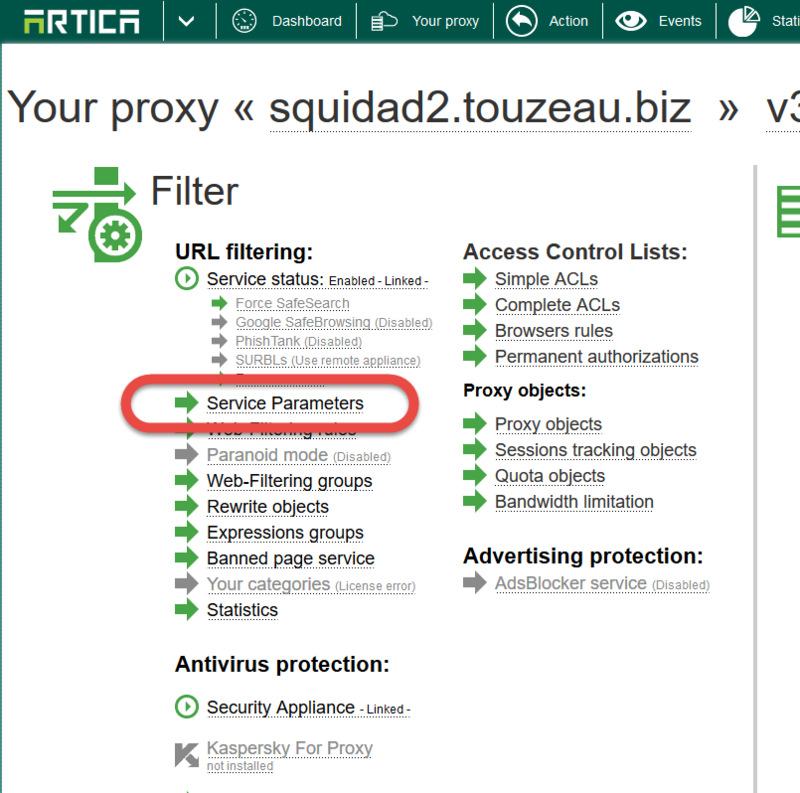 To avoid this when Artica updates the Web-Filtering database, go into Services Parameters of the Web-filtering. 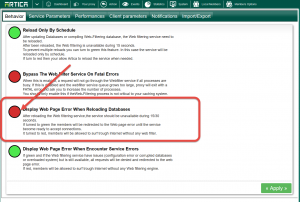 Under Behavior section, turn to red the Display web page error when reloading databases option.